I love poppies - they are such a delicate flower yet are so bold in color. I think they look pretty good against this teal background. This looks great hanging up in my living area, accented against all my brown furnishings. Holy Cow!!!! I love it!!! Seriously it's so cute!!! 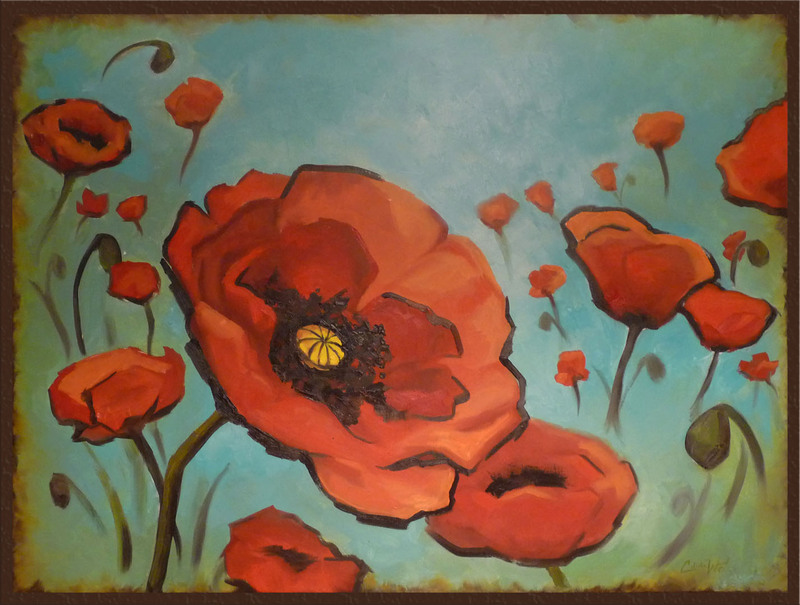 Poppies are a blast to paint! and these look great!!! Thanks guys! I had a lot of fun! IF: dessert - fair food!